Since launching its program offering patients with non-valvular atrial fibrillation (AF) an alternative treatment to reduce their risk of stroke and avoiding long-term use of blood thinners, the Vanderbilt Heart and Vascular Institute (VHVI) has consistently ranked among the top centers in the country for the implantation of left atrial appendage closure (LAAC) devices. Patients with AF, the most common form of arrhythmia, have an increased risk of stroke because blood can pool and form clots in an area of the heart called the left atrial appendage, or LAA. A clot can break free from the LAA and travel to the brain, causing a stroke. Currently, patients have three devices to choose from: the Watchman LAAC, the Amulet device as part of the AMPLATZER Amulet IDE trial, and the Lariat closure, which is a part of the aMAZE clinical trial. VHVI is now the No. 1 enrolling site for the current AMPLATZER Amulet IDE trial, a head-to-head look at two LAAC devices. Vanderbilt leads enrollment in the trial and is one of 100 sites across the country participating in the randomized, controlled study. 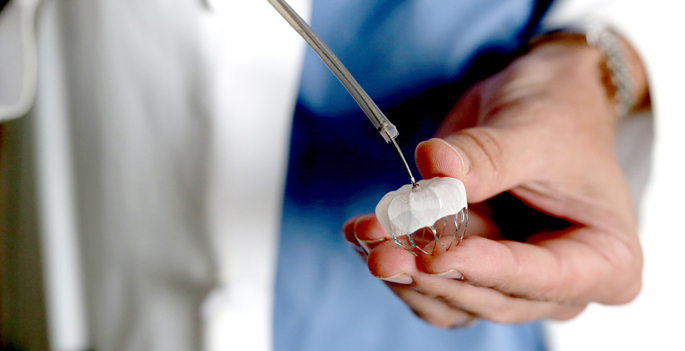 VHVI also recently implanted its 200th Watchman LAA occluder, an FDA-approved device that propelled the center into becoming the largest program in the state and Southeast for LAA closures for that device. It has a comprehensive program offering a variety of LAAC options for AF patients and expects to introduce an additional device (Watchman FLX) this summer. 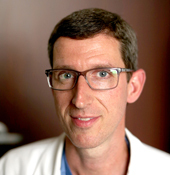 “Regionally, we are probably the only site that can offer all of these options,” said Christopher Ellis, MD, associate professor of Medicine and director of Vanderbilt’s LAA Closure Program. “It’s nice to see that over a three-year period our program is growing fast, with excellent outcomes and has potential for becoming the standard of care nationwide in AF related stroke prevention. LAA closures are aimed at patients with AF who have an increased stroke or risk score and can be safely removed from the blood thinner protocol. Ellis said not only have the outcomes been impressive, but data is showing that these devices are more cost effective than long-term medication use. Despite the success with the new line of LAA targeted therapy, Ellis said there is still a huge need among the medical community to educate patients. Ellis, along with Robert Piana, MD, professor of Medicine and Arvindh Kanagasundram, MD, assistant professor of Medicine, implant the Watchman devices.